Enjoy your favorite cup of coffee with our reusable K-Cup filters. Made from BPA-free, food-grade materials, these filters are safe and durable. And best of all, each filter allows water to pass through at a rate that ensures your coffee maintains its taste and aroma. 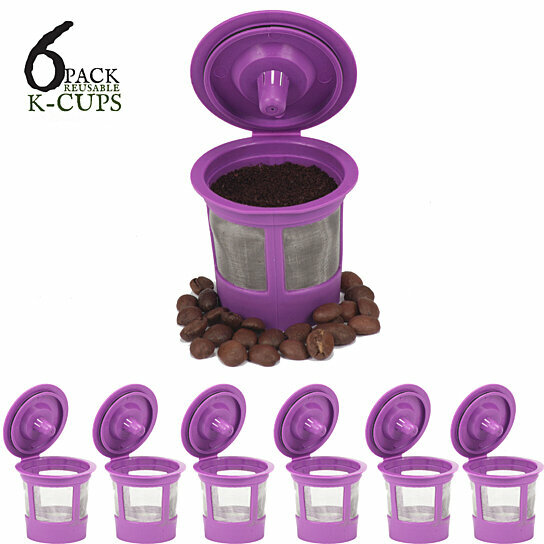 Each pack comes with a set of six reusable k cups so you'll have enough filters to suit all your brewing needs. Whether a daily coffee drinker or a once in a while coffee drinker, these filters are great for making your next brew!